You wouldn’t say it is a topic for a modeling blog but: Yesterday I had a fantastic family BBQ! Not only did I enjoy the company and the food, I also went home with a lot of awesome stuff! My dad was ‘cleaning out his closet’ and had a number of kits laying around on which he hadn’t started work. He said he would have to live to be a 110 years old to complete the stuff he still has, so since I recently picked up this hobby again I hit the jackpot here! The P-38 is definitely my favorite, but I also love the A6M5 and the F-16 which has Dutch decals with it! The F-15 is a complex kit which I can really sink my teeth into, the F-18 is a bit simpler if I remember correctly but hey, it’s an F-18! I don’t know much about the Mirage III, but anything to practice techniques on is fantastic of course! It has some nice camo and what a great place to experiment with pre-shading the cockpit! I am thinking I will likely start work on the A6M5 as soon as the FW-190 is done as a new WW2 kit. I have to say, this kit is a bit simpler than the FW-190 or even the Spitfire, but it does have the radial engine as a separate component. The simplicity really seems to lie in the flaps, rudders, ailerons etc. which are molded straight on rather than being separate parts. It’s only 22 steps in the instructions I think, and that can be refreshing! All these models of course need a very good cleaning and I might have to actually order some new decals for some of them because they appear to have had a rough brawl with time. But I love to have a proper stack of kits now and since I know he reads this blog every once in a while: nogmaals bedankt Pa! Ik ga er wat moois van maken. After letting another layer of Humbrol Clear dry on my experimental part, the thing looks nice and shiny! It is not a perfect application. Especially on the camo’d area in the rear there has been some build up during spraying. But that is fine for my purposes. What I did differently this time: didn’t thin the stuff at all and applied on layers that had dried over night. I think this looks much better and I will be applying a decal and try some weathering on this thing! I still can’t believe how much this blog is offering me. It is not only that I enjoy writing about something I love doing, but the support and help I get is fantastic. Shout out to everyone helping me. Especially atcDave and Brett G continue to help and share their knowledge, but of course I am grateful for all the feedback I get! WW2 is my main interest and so are planes, but I want to do a second build that is a different subject. Considering starting on the Spit this week made me realize I am ready to do something else to keep things interesting. So, my primary build will be a WW2 plane, and my secondary build could be something else entirely. Next Wednesday I will finally be building up my work hours again. Even though I am still tired very quickly (recovering from a burn out) I look forward to things getting back to normal and hopefully my fitness will improve soon enough. Of course this development will mean for modelling and blogging that I will do both a lot less, but I look forward to seeing how modeling works as a way to settle down after an intense day! The last tiny change has to do with my workplace. After working this way for a while it’s natural that things come up that are less than ideal. I was already considering changing my workspace after completing the FW-190, but buying a second kit and possibly the blog of Spencer Pollard of this afternoon made me speed things up a bit. If I want to build more than one kit at a time I need a table that is basically as empty as possible all the time, and the essential stuff within reach. Another two shelves emptied for modelling.. and it is still not enough really because I would like to stash those boxes somewhere too! Don’t worry about the Play Dough by the way, I bought it this morning but after reading some horror stories I got rid of it. So anyway, back to the actual modelling. As atcDave pointed out three layers of primer I did on the warped part that was in my second purchase of the Spitfire kit isn’t really needed or advisable because the details might disappear. As I told him I based myself on a demo by Humbrol, but of course they don’t mind if you throw the entire bottle on your models. That’s another good piece of information for the FW-190, but I want to try some more things before messing about with the real deal. In this picture I focused on the rear side of the part because I first planned on doing a small area.. ..But although I keep getting better at judging the required amount of paint and its mixture, this color is a mix between two which left me with more than enough to do the entire thing. I present to you: the SpitWulf! And yes, of course I sprayed a smiley face on there. 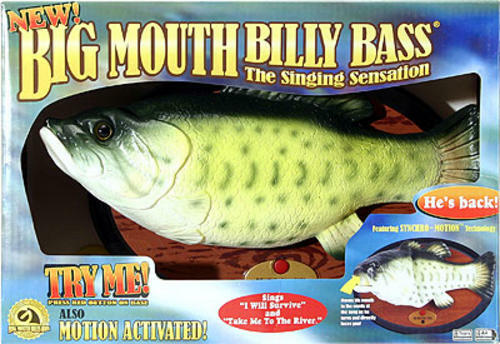 The part kind of looks like Big Mouth Billy Bass on that sprue, doesn’t it? I rushed it so some areas could have used more attention. As I said it is a pretty small area where I tried to apply the complete side of the FW-190. It’s not perfect but I am glad I did this so hopefully the real deal will be better! I think I ended up applying four layers of gloss coat! I hope this dries up well, because I see quite a lot of staining. As I understand you will either need to apply gloss to the point it is almost running, or use a very fine sandpaper to fix it up after it is dried up. If anyone has thoughts on that I am very interested! Especially for the secondary kit purchase I did this afternoon I will have to get the gloss coat area right! I know.. I know.. civilian airplanes don’t seem to get a lot of love in the community but this is nostalgia for me! I remember being amazed at the models my dad had made. One of my favorites was his British Airways 747 (no idea what exact type it was). My dad got rid of it recently because of course it did’t have a lot of detail being a 70’s or 80’s model, but hopefully this model does! Cargolux is a regular visitor to Amsterdam Schiphol Airport which really attracted me to this particular plane. The FW-190 still is top priority of course. I drilled the holes from the outside for the fuel tank rack like I said I would and man I am proud to get it exactly right again! I also did some work on the rear, sanding down some seams and re cutting some details. Try a wash and decals on the SpitWulf part once the gloss coat has properly dried up. Maybe do a second layer of olive on the inside engine panels. Move my way up to the front of the FW-190 to fix seams and holes. Properly mask off holes, cockpit, landing gear bay and engine. Find a good method to apply primer all around the model. Apply primer on propeller, cap and fuel tank separately? Antenna’s, landing gear and other easily breakable stuff to place on in the end, place them in the Box-Of Future-Parts. Start on the 747-8F when I can! After sleeping on it and some reassuring words on my last post I decided to continue with this kit! Not only is this just my second kit, but when I rebooted this hobby I already made the conscious decision to not go straight for the high-end and more expensive brands. I already accounted for failure by buying the cheaper Revell kits rather than a Tamiya kit for 3 or 4 times the price. The only thing is: the Spitfire just feels a lot cheaper, where as the FW-190 just seems to offer a lot more for just a couple of euro’s more. That makes it even more of a bargain though, so I just need to go for it and have faith in myself and if I should fail take good note of what went wrong and learn from it. Airbrush the inside of the engine covers and temporarily place them on. Check the entire body for seams and holes that shouldn’t be there and try to get any scratches out. Place fuel rack on body. Fill up the landing gear bay with something to mask it (cotton pads?) and temporarily place the gear doors I am not using, for masking. Mask the cockpit of with the canopy I am not using and mask off the windscreen. Investigate what materials to use for temporary placement of masking parts and how to apply the primer all around the aircraft? Investigate how to properly use primer? I wrote this list this morning and as much as energy allowed I started some work. First I painted the last of the insides of the engine panels. I have to say I have a lot less trouble with the airbrush now I use a thinner mixture, I just have to apply a second layer after half an hour.. I neglected to do that here and the paint is still slightly too thin. I will fire up the airbrush for one final round of olive since I haven’t decided yet which panels I want opened up.. so I want them all to look good! Besides I also found I missed one part that still needs olive color.. I see the windshield framework is also in ‘F’ (gray) just like the rest of the canopy parts. So I glued it on and ambitiously aim to properly mask it. If I fail, I will have to get a replacement from Revell I guess! Since the gun area is a glue-y mess I will likely cover that up by the way. The fuel tank and its mount are also assembled. I will likely assemble the mount.. there is a problem though..
I’m afraid I misinterpreted the instruction manual when it comes to the holes that had to be drilled in the lower wing half. That means I will have to figure out from the outside where the holes are supposed to be, and drill them. I decided I wanted to try some primer at this point before messing up the FW-190. Time to get out the Spit-Wreck and clean up an area. And then I realized I had the perfect thing to try it on! I made a scratch and sanding marks to see how they would look after primer and cleaned the part with soap.. I don’t have alcohol or anything like that. Maybe I should get some? The first layer.. or actually the second layer as my first was a pool of primer and I wiped it straight off to start again. I think my first attempt was sprayed from way too close. The layer in the picture above is better, although not smoothly applied everywhere. After applying a second layer..
And for the third layer I wised up and moved the operation to the shed.. looks like I’ll keep a room open in my man-cave tonight! I like this! The scratch I made is clearly visible but of course I didn’t do anything to fix it between the layers. There is some imperfection near the end, I think because I removed the first splashed on layer that I sprayed on from way too close. Very educational day in modelling world for me.. They are not kidding when they say you need a well ventilated room.. what they actually mean to see is: get that stuff out of any room you plan on using for things like living. Don’t spray too near to the part. Don’t spray too long in the same place. What to do when I find imperfections after the first layer? If I fix the imperfections I will scrape off the first layer and if I apply a second layer on top of that you will probably see a ‘crater’ on the body where the first layer used to be? How to be able to turn around the whole model. I see constructions with sticks to turn the thing around, but a 1/32 FW-190 model is probably too big and heavy to do that. How to temporarily fit panels, canopy and landing gear doors for the priming and air brushing? My plan is to ready up the rest of the body tomorrow in terms of sanding and filling, and maybe also use the part I used primer on today to try a bit of the FW-190 livery on! It’s drying in the shed tonight while spreading a strong chemical smell. Posted on 2017-08-03 2017-08-26 Categories FW-190 A8/R11 (Revell 03926 1/32), Scrapped kitsTags 1/32, airbrush, model building, plastic model, Revell, scale model7 Comments on Leap of faith! Let me start this blog off first by telling you I am so happy to say I seem to have fixed the fitting on and around the engine! There is some cleaning up to do and the side panels stick out a little bit but that’s allright. The side panels and upper panel are glued on, the panel that will go above the guns is not. I have tried all the other panels separately and they all seem to fit pretty nicely now! These panels still need to get the olive colour but I am not really managing long airbrush sessions yet.. two sessions with Revell #45 were not enough to get to these things! Yesterday I did most of the main gear parts and handpainted the…. I am not very good in parts names.. windscreen? Anyway, since I don’t trust myself masking it I made the choice to paint it this way and it turned out pretty good. So this is pretty much the stage it is in now. I am getting somewhere with this build I feel. there are quite a lot of small parts left, but I can prepare those while waiting for the main body to get ready for the next stage. This afternoon I got myself some inspiration by checking out the builds of Brett G, IBM and ScaleModelAircraft. Brett G hasn’t been able to apply primer because of the weather, but the other two show the primer stage, pre-shading and the final air brush. This has me intimidated a bit and let’s be honest: with good reason. I have never done these things before and there is nothing like screwing up on the main body! Temporarily place landing gear covers, engine covers and mask off the cockpit. Propeller and nose cone, not painted yet. Air brush the livery on the body. Landing gear, flaps and other small parts that can’t get put on until the final phases. Some of these parts are not painted yet. To be completely honest with you, I am not confident right now in getting the result I want for this kit. It is not that I am comparing myself to the guys I mentioned above as they have been at it a lot longer than I have and this is only my second kit. I know I will probably not get the result they got, but I know how much I learned the last weeks while making this kit and trying new things.. but so far I am not even sure how to use primer, if I have the right color for instance. If I keep learning and getting a feeling for new techniques I am sure that soon I will feel confident enough to finish this kit. The Spitfire is a simpler kit. It does not have an engine and the livery seems easier to me. Besides, I already had it at 90% finished before I decided I had ruined it enough. My original idea was to start fresh with this kit straight away, but there was something wrong with a part and I had to wait for a replacement. I started the FW-190 while waiting for it. Something to think about tonight! For my first kit I used mainly paint brushes and small roller for the bigger parts. The thought of buying my own airbrush had ofcourse crossed my mind. I guess I was scared though! Airbrushing as a kid was something my dad had to do for me and my brother and he ofcourse didn’t want to do this 3 times a week. Having to wait and plan your airbrush jobs made it a bigger deal I guess! The finished cockpit for my first Spitfire Mk. IXc kit. After the wingtip disaster on my first kit I order the FW190 A8/N11 I am currently working on. I went to Hobbycar the next day to pick it up and since there was another customer in the shop I went around to look at some of the airbrushes. When the storeowner had showed me the kit and all the stuff I had ordered along with it I asked him if he could tell me what a good starter kit would be. He showed me a couple of sets, both with compressor and with airbrush propellant. I had absolutely no idea what was what, but when he showed me a 55,- euro kit which basically had everything I needed with a compressor I decided to just go for it. Ofcourse my first experiences weren’t too great. There were a lot of splatters as the mixture was way too thin.. besides that I had already used the small roller to apply the aluminium paint on the body. The parts that didn’t look good after that I removed with Paint Remover, but since the roller and the paint brush left quite a different thickness things didn’t look good. This model already felt more and more like a write off but I atleast wanted to try the camo on the top of the hood. Where to start.. sloppy masking, inconsistent coverage and probably the big thing I want to differently for my next camo is to ambitiously try to do it without masking the other camo parts! I live near the militairy base of Gilze-Rijen, and ofcourse I can often see the helicopters and trucks up close. The camo on the trucks for instance isn’t neatly lined out like I did in this model and seems to be applied from freehand as well. Ofcourse when painting models there is a camo you are trying to recreate but still it doesn’t make sense to use masking tape.. I guess that’s something you can have a discussion about. With the FW190 I have been able to build up some confidence with my airbrushing techniques. A bit of reading up and watching a couple of YT channels showed me the error of my ways.. too thin a mixture but applied too thickly leaving a nice layer of splattered water. So my mixture is a bit thicker, and I apply in a couple of layers. I like some of the results I got so far.. I am still having some problems with the longer airbrushing sessions, but that’s for another blog. This is probably my favorite area of this kit: the engine! A picture doesn’t tell the tale of how gruesome task applying the small details was for me..
My mixture for the aluminium colour was probably way too thin, so the coverage on some parts isn’t too good. I focused on the cylinders so those are allright. Even though I use pretty small size marterhair brushes, these details are a little too small for my shaky hands.. I’ll have to see how visible these will be in the end and if the sloppy areas will be too much of an eyesore.. ofcourse this picure is zoomed in quite a lot so hopefully it won’t be too bad.. Yesterday evening I pushed the whole thing together and this morning I finished it off by placing the exhausts. Nice and fiddly little job but the complete component looks pretty good to me! Looks ready for applying my first varnish on.. The result isn’t too flashy and it shouldn’t be. To my surprise some areas did seem to react to the varnish! especially the top part let off some of the gray paint, and the alumium on there was way too thin anyway and disappeared. I reapplied it after the varnish had dried a bit. The black caps were just too tiny for me so that is probably the reason they don’t look too swell. It is surprising to me that this happens, but maybe I am overlooking something. I did do a test on the Spit-Wreck, and it looked fine. That paint had been dry for more than 2 weeks though, and was well applied. Either that is the difference, or Revell Acrylics and Humbrol Clear – Gloss Varnish just don’t like each other. I’ll have to another proper test on the Spit-Wreck before doing more stuff with the varnish. After waiting for some time I applied my first wash! After 20 minutes I dried it off.. I have to say.. I am quite happy with how this turned out! I hope I didn’t overdo it but hey, this is an engine after all! I think there are some more parts where the paint has come off a bit so I’ll have to retouch those and stay off the Humbrol Varnish until I’ve properly tested it. So all in all I am pretty happy with this result! I am glad I had the oppertunity to do my first varnish and wash on a subcomponent so I can easily fix any problems by just redoing some small areas with paint. If you could give me constructive feedback that would be great!